Amnesty International called on Egypt’s military rulers to uphold the right to peaceful demonstration as women human rights activists staged more protests today. Activists took to the streets to denounce violence used by the military against female and opposition protesters in demonstrations over the past week that have left 17 people dead, most of them reportedly from gunfire. "The shockingly violent scenes of recent days must not be repeated," said Philip Luther, Amnesty International’s interim Director for the Middle East and North Africa. Several women activists have spoken out in recent days about their brutal treatment by security forces, including beatings and threats of sexual abuse. Women's rights groups staged fresh protests on in Cairo on Friday, sparking fears of renewed violence. Egypt's military rulers, the Supreme Council of the Armed Forces (SCAF), issued a statement saying armed forces and police would not interfere in Friday's protest. However, other recent SCAF statements have attempted to depict activists as irresponsible and violent or trying to “plot to abolish the state”. One high-ranking military official even said that military forces were entitled to use live fire against protesters. "Such statements represent instigation against protesters. Women human rights defenders and activists must be allowed to stand up against violations of human rights by the SCAF," said Philip Luther. "The authorities must not use force against peaceful protesters and not target women with gender-based violence." Violence first flared last Friday when military forces attacked a sit-in protest demanding the end of military rule. On Tuesday, women marched through Cairo carrying shocking images of soldiers beating and stripping female demonstrators during previous protests. Egypt's armed forces and riot police have a track record this year of violence against women, including forced virginity tests against female protesters and sexual assault against female journalists. On 16 December, soldiers were seen kicking and beating women protesters around Tahrir Square. An online video clip showed two female protesters being dragged along the ground. One of them had her clothes pulled off before a soldier stamped on her torso. The other, Azza Hilal, was beaten severely in the head and face. Other female protesters were dragged by their hair. Armed forces took at least eight female protesters to a parliament building in central Cairo. They reportedly beat them with sticks and some were molested by soldiers or threatened with sexual assault. At least two was hospitalized. Farida al Hossy was attacked as she was running from the field hospital in Tahrir Square. First a group of soldiers beat her with batons, then one of the soldiers continued beating and slapping her. She was detained along with other protesters, all injured and bleeding, in a parliament building before being released by an apologetic higher-ranking officer. Ghada Kamal says she was targeted for beatings because of an earlier encounter with masked army officers in Tahrir Square who threatened her with sexual assault. When she tried to help a girl who had been severely beaten in the square, she was hit on the head. She was recognized by a soldier who had seen her protesting earlier in the day - as a result she was taken inside the building for further punishment. She was also threatened with sexual assault during detention. Mona Seif was arrested while leaving the field hospital in Tahrir Square, where she had been hiding with a small boy. The soldiers took the boy from her and beat her. She was taken to a room where there was another child, several older women, a younger woman and a journalist. She says an officer identified the young woman as an activist, dragged her out and beat her. Officers and soldiers also removed the niqab from another woman and insulted her, while an older woman was slapped by several officers. A new law introduced this week imposing the death penalty on anyone arming “terrorists” is only likely to worsen the bloodshed in Syria, Amnesty International warned today as the number of people killed this week soared. In one of the deadliest weeks since pro-reform protests began, some 170 people – including around 70 army defectors – were reported to have been killed when government forces attacked the village of Kafr Awaid in the north-western province of Idlib. Dozens of Syrian military personnel are also reported to have been killed. The official SANA news agency said on Tuesday that Syrian President Bashar al-Assad had signed into effect a law providing for “the death penalty for anyone providing weapons or helping to provide weapons intended for the carrying out of terrorist acts”. “The law could have serious consequences as the Syrian authorities claim that anti-government protests are the work of ‘armed terrorists’,” said Philip Luther, Amnesty International’s interim Director for the Middle East and North Africa. “The Syrian authorities must immediately repeal this law, which represents yet another brutal tool in their arsenal of repression,” he added. An eyewitness speaking to Amnesty International described seeing the bodies of what he estimated to be around 100 residents following shelling in the western part of Kafr Awaid on Tuesday. He said they had fled their homes out of fear of arrest in their homes. It is believed that some of those killed had previously been detained. Video footage obtained by Amnesty International and believed to be of the bodies of those killed shows some of them with their hands bound. “Forty of those killed were fellow activists and close friends of mine,” the man told Amnesty International. “The sight of those dead bodies was unimaginable. I ask myself why they died and I didn't. The raids continue in Idlib today and we are begging for help,” he said. Around 40 of the army defectors, the eyewitness said, had been hiding from security forces in a farm in the village and were gunned down on the spot. Their bodies were removed by security forces. Thousands of other people have been arrested since pro-reform protests began in Syria in mid-March, with many held incommunicado at unknown locations in which torture and other ill-treatment are reported to be rife. Amnesty International has received the names of over 200 individuals who are reported to have died in custody in Syria since April. In a sign of growing international opposition to the bloodshed in Syria, the UN General Assembly voted on Monday overwhelmingly to condemn human rights violations by President Bashar al-Assad’s government and called for an immediate end to violence. Meanwhile, consultations are expected to resume today on a new draft resolution on Syria before the UN Security Council. Since April this year, Amnesty International has called for the Security Council to refer the situation in Syria to the Prosecutor of the International Criminal Court, and to impose a comprehensive arms embargo on Syria and an assets freeze on President Bashar al-Assad and others involved in ordering or perpetrating serious human rights abuses. Le Professeur Habiba Bouhamed Chaabouni a reçu le 20 Novembre 2011 la médaille et le certificat de membre de l’Académie Nationale de Médecine de France en qualité de membre étranger au cours d’une séance solennelle qui a eu lieu au siège de l’Académie à Paris. Elle est parmi les trois membres étrangers (un Italien et une Chinoise) élus cette année à l’Académie. Une nouvelle reconnaissance internationale qui s’ajoute au riche palmarès du professeur Habiba Bouhamed Chaabouni et une reconnaissance pour la qualité de la médecine et de la recherche Tunisiennes. 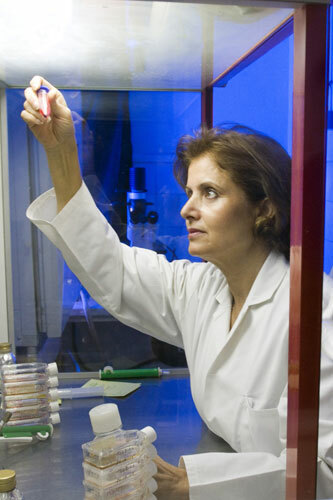 Habiba Bouhamed Chaabouni est professeur en génétique à l’université Tunis El Manar, faculté de médecine ; directeur du laboratoire de recherche en génétique humaine au même établissement et chef de service des maladies congénitales et héréditaires à l’hôpital Charles Nicolle. The democratic movements sprouting all over the Middle East and North Africa (MENA) region are arousing high optimism for greater voice and inclusiveness. Democracies are about sharing power, and about reflecting the will of the people through peaceful processes at the ballot box. But, will the will of the people and people power usher in greater gender equality and women’s empowerment, particularly as women fought shoulder to shoulder with men for change? MENA’s experience in the past three decades or so has been that regime changes resulted in backtracking on women’s rights. The Iranian revolution of 1979 is one example: most rights that women had painstakingly advocated for over a century, and acquired in the 1950s and 60s were immediately repealed after the victory of the Islamic Revolution, even before a new constitution was drafted. Today, Iranian women and civil society work hard to regain some of those lost rights. Iraq provides another example. This country appointed its first female judge in 1959--in a profession seen as a male domain across the world and in nearly every religion. But with the fall of Saddam, women’s rights were seen as a high priority for reversal, again before a new constitution was put in place. Women would have lost their rights, were it not for the immediate, concerted, and proactive efforts of international and local women’s rights groups to push for a 25 percent quota in parliament, and to prepare a cadre of qualified women candidates to stand for election and fill those slots. What are the prospects now in MENA? Will these revolutions that were sparked and spurred by a tech-savvy young generation of men and women be any different? Let’s look at some evidence. In 2008/2009, the Bank conducted a survey in the three cities of Amman, Cairo, and Sana’a on the working patterns of men and women. The three cities are a cross-section of the region as a whole. And, capital cities were selected because capitals can be better compared across countries, as they offer better access to infrastructure, connectivity, and their inhabitants are better educated, more cosmopolitan, and modern in comparison to the hinterland. The survey data covered 8,000 households and altogether 40,000 men and women across age groups, five income strata, and educational levels. Aside from individual and employment characteristics, questions were asked about attitudes and social norms. One survey question asked whether women should work outside the home. Disposition toward women’s outside work is usually seen as a precursor to the acceptance of women’s empowerment in the public sphere -- a litmus test for modernity, open- mindedness, and gender equality. The data showed that female labor force participation depended heavily on social norms, above all the institution of marriage, but hardly on the presence of children. Women’s participation rate in households with at least one objector to women’s work was a fraction of the participation rate in households without an objector, as can be seen from the adjacent figure. The unexpected, surprising, and disconcerting evidence was that the objection to women’s work was much higher among younger than older men. The figures in the left panel below show the rising years of schooling for both men and women surveyed. Not only is the younger generation far better educated than their parents, there is nearly no gender gap in education among the younger age cohorts of men and women. But, as the figures in the right panel show, despite this higher education, there is an alarming rise of conservatism vis-à-vis women’s outside work among men among men aged 15-44. Roughly 1 in 2.5 men thinks that women should not work outside. Objection to women’s work outside also exists in other regions, but at most at the rate of one in every 10 or 20. University education reduces the objection rate to roughly 1 in 5, which his still high. As such, this evidence debunks the myth that people become less conservative with more schooling and disappearance of the gender gap in education. With 70 percent of the population under 35, and the bulk of the voting population having at most a high school education and fairly conservative attitudes, what are the odds that women’s empowerment will move forward, if not backward? It also begs the question about what content of education has reinforced over the past decades such conservative attitudes among younger men towards women? And, what can be done to mitigate further marginalization of women? Will the Arab Spring backfire on women? While the Arab Spring has provided women with space to make their voices heard, “It has also become clear that there are real risks, especially [for woman] in places like Egypt and Libya,” said Head of Human Rights Watch’s Women Division Liesl Gerntholtz. “[Arab] women were visible, they went out and demonstrated for changes, but unfortunately right after the ousters of [Tunisian President Zeineddine] Ben Ali and [Egyptian President Hosni] Mubarak, we saw a backlash,” added her colleague, Nadya Khalife, the Middle East North Africa researcher in HRW’s women's rights division. From Tunisia to Yemen, Libya, Egypt and Syria, NOW Lebanon looks into whether the uprisings will have a positive or negative role on women. With a female literacy rate close to 70 percent, legalized abortion, equal divorce rights for both sexes, and with polygamy outlawed, Tunisia is regarded as a bastion of women’s rights in the MENA region. But the win of a moderate Islamist party in last month’s elections has some women’s rights activists worried. Association Tunisienne des Femmes Démocrates. “The presence of Islamists is something new for us. We are wary of what comes next, but we are happy that for the time being, they are not changing [laws relating to] the civil code,” she said. Nonetheless, some students have been forbidden entry into classes for not wearing the veil, while last October, dozens of protesters stormed a television station that aired Persepolis, a film about a young Iranian girl at the time of the Islamic Revolution. The station’s director was subsequently put on trial for “undermining” the sacred values of Islam. Still, Tunisian women are probably better off than those in Libya and Egypt, says Khalife. “[Because] women’s rights are so advanced, it will be hard to take away the rights they have won over the years,” she said. The announcement of the gender parity law last April was also worthy of praise and in line with the fact that Tunisia boasts the region’s highest rate of female political representation. “So we are in a state of caution and vigilance, waiting [to see how things pan out],” said Zeghidi. Women and children have been the victims of the Egyptian revolution, according to Omar Ahmed from Egypt’s Women’s Union (EWU). “Before the toppling of the regime, Egyptian legislation showed positive signs of progress for women, but after the revolution, many people are trying to erase them,” he said. There are worries of a takeover by Islamists, who frequently view women’s rights as a Western import. It does not help that Egyptian women themselves do not feel much pressing concern about their situation, Ahmed added. Over the course of the years, a cultural regression has worsened the status of women, said Dina Amiri, president of the temporary board of the EWU. “The virginity tests are another game played by the regime to intimidate women,” she said. In spite of this, Amiri remains positive: “The revolution did not end, and I am optimistic,” she told NOW Lebanon. “Under the Qaddafi regime, women’s rights were progressive,” Khalife told NOW Lebanon. But last October, Mustafa Abdul-Jalil, chairman of Libya’s National Transition Council, irked a number of liberals when he declared that Sharia law would be the main source of legislation in post-Qaddafi Libya. He alluded to the possible re-instatement of polygamy, which had been banned. However, signs of hope were realized during the country’s first international women’s conference in November, which highlighted the need to ratify international conventions that safeguard the rights of women and children and ensure the participation of both sexes in the country’s political arena. “Yemini women have a very low social status. There are lots of discriminatory laws and practices, and despite civil society organizations working to improve the situation, not much has been done,” said Khalife. “These next few months are going to be crucial,” she added. Efforts to improve the status of women have been muted by a very traditional Islamic society and extremely conservative parliamentarians. Khalife pointed to the example of the minimum marriage age. In rural areas, girls as young as eight are being married, she said. But women are coming out and making their voices heard. Last month, Tawakkul Karman, often dubbed the “mother of the revolution,” won the 2011 Nobel Peace Prize. Indeed, experts estimate that approximately one-fifth of those taking to the streets in Change Square are women, which in and of itself represents a metamorphosis in a country that came last in the 2011 Global Gender Gap report. Yemeni activist Dalkis al-Lahabi said that the number of women activists had grown tenfold as a result of the uprising. “It brought the women back to the Yemeni civil and political society,” she said. Indeed, in October, hundreds of women marched into Sanaa, burning their veils in a sign of protest against the Saleh government. Because of the media blackout since the uprising began in the country in March, it has been difficult to talk to women activists in Syria, many of whom are in hiding. “I think it is really hard to tell with Syria. We are really struggling to get information out. The crackdown is brutal and severe,” said Gerntholtz. “But in some of the pictures that emerged women are clearly participating in the demonstrations, and many of the doctors who treated the protesters are women,” she said. Minority Rights Group International says that Syrian women have enjoyed some level of emancipation under the Baath regime, with females present in parliament and other high-ranking posts. At the same time, “Social attitudes toward women are extremely varied, especially in the countryside,” the report said. “If you want to look at family or penal codes, similarly to what we have in Lebanon, there are still discriminatory laws,” said HRW’s Khalife. Additionally, unlike Lebanon, where women’s rights groups are commonplace, President Bashar al-Assad’s iron grip means Syria has a very limited civil society. As such, “I’m not quite sure how women’s rights will pan out, or whether they will improve,” said Khalife. En Algérie, l’émigration est un phénomène ancien. Mais récemment, l'Insee (Institut national de la statistique et des études économiques) s'est penchée sur ces Algériens qui ont quitté leur pays pour venir en France. Le résultat est plutôt surprenant: dans un article du 20 septembre, El Watan indique qu’un émigré sur deux est une femme. Une autre étude de Myriam Hachimi Alaoui, maître de conférences en sociologie, s'est penchée sur le profil de ces émigrées. Parmi ces dernières, nombreuses sont celles qui ont fait des études supérieures de français et mènent une brillante carrière professionnelle. Dans leur pays, elles constituaient une partie de l’élite intellectuelle francophone. Souvent, elles se servent de leur «bagage universitaire» pour s’engager dans différentes causes, de la lutte pour l’abrogation du code la famille à la reconnaissance de la culture berbère. «Craignant pour leur vie ou celle de leurs proches, inquiètes pour l’avenir de leurs enfants ou ne supportant plus le statut d’infériorité et la pression auxquels elles étaient soumises, ces femmes ont pris le chemin de l’exil souvent dans la précipitation, principalement, à destination de la France et du Québec», explique-t-elle. Pour l'Insee, l’insécurité durant les années 90 en Algérie («les années terroristes») et la mauvaise gouvernance du pays dans les années 2000 ont également provoqué une hausse du taux de féminisation de l’émigration. Ainsi, entre 1982 et 2000, il passe de 36% à 51%. Alaoui explique que sur place, les premiers temps sont durs pour les femmes diplômées, obligées d’occuper des emplois «dévalorisants» pour leur niveau d'études. Finalement, grâce aux réseaux qu’elles se constituent, elles parviennent à trouver un emploi en lien avec leurs qualifications. Enfin, la sociologue note que l’arrivée de ces familles algériennes dans des pays occidentalisés peut créer un «choc des cultures». En Algérie, ces immigrées se sont battues pour l’émancipation. En France et au Québec, elles n’ont plus à lutter pour obtenir des libertés fondamentales. Certains maris nostalgiques des sociétés où, comme en Algérie, le machisme prédomine, ne s’adaptent pas aux mœurs occidentales et nombre de couples ou de familles finissent par se déchirer. Dès que l’on foule le sol de l’archipel du Cap-Vert, l’image de cette femme à la voix suave vient en mémoire. Cesaria Evora a su incarner et exporter l’idéal Cap-Verdien à travers le monde. Sa mort laisse un vide sur l’île et le « saudade » (tristesse) n’y a jamais été autant ressentie. J’ai séjourné au Cap-Vert du 11 au 14 décembre, soit trois jours avant le décès de la diva aux pieds nus dont la musique m’a fait aimer ce « petit pays » qu’elle chérissait tant. A Praia comme à Cuidade Vallée, le paysage dominé par des montagnes semble familier et d’un coup, des paroles de chansons viennent en mémoire. Même si on n’y comprend pas grand-chose, on sent qu’elles ont été inspirées par la beauté de cet archipel. Pour beaucoup d’Africains, Césaria Evora était l’un des monuments qui restaient après le décès de la Sud-Africaine Miriam Makéba. Cette femme à l’allure d’une « Mémé » a su captiver des millions de personnes avec sa musique, son look de mamie, sa voix suave et envoutante qui rappelle les berceuses. D’une simplicité légendaire, Césaria a été l’ambassadeur d’un pays isolé du reste du monde par l’Atlantique. Malgré cette insularité géographique, le Cap-Vert était devenu familier au reste du monde grâce à cette dame. Plus qu’un symbole, elle était l’âme de ces îles dont elle a su exporter la musique « la morna » à travers le monde. Avec sa mort à 70 ans, ce sont tous les lusophones et tous les africains qui ont perdu un immense talent. La grande simplicité de la diva aux pieds nus trouve son explication dans son extraction sociale. Issue d’un milieu pauvre, la dame a vécu jusqu’à cinquante ans dans une extrême pauvreté. Orpheline de père à sept ans, elle a été élevée par les sœurs. Sa propension à se produire sur les scènes du monde entier était un hommage à tous les pauvres de son pays. Malgré les distinctions et le succès grandissant, elle ne s’est jamais départie de son style qui la rendait si attachante.